Great recipe by Dan Ashbach. This is a creative way to get your kids to eat more vegetables. Remember kids need 3-5 servings of vegetables a day! 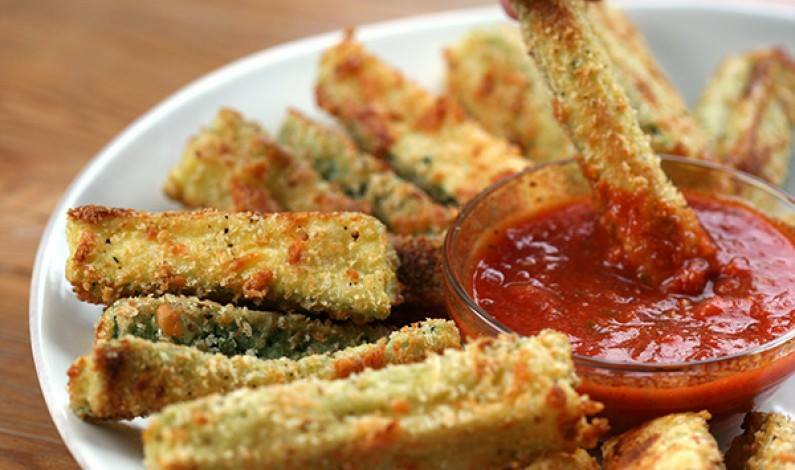 Baked zucchini fries are a must try! Trim ends from zucchini. Cut into wedges. Line a cookie sheet with parchment.Place flour in zip-lock bag. Mix eggs, salt and milk in a pie plate, or other shallow dish. Mix panko and parmesan in another shallow dish. Place zucchini in bag and toss gently to coat. Place zucchini in egg mixture and turn several times to coat. Let excess drip onto plate. Place on prepared cookie sheet and bake for 25 minutes, turning once, until coating is golden and crisp.